Does Dr. Fasano Treat Children? Absolutely, and they seem to love her. 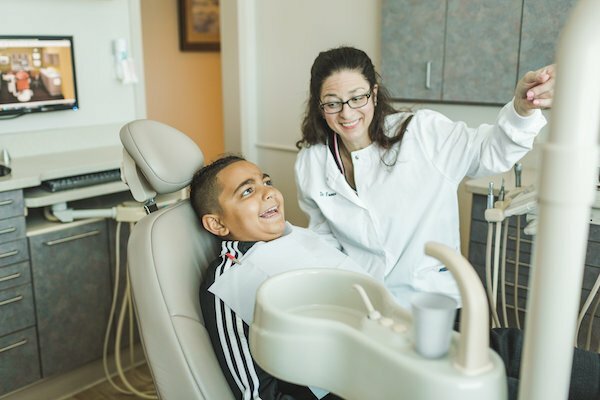 We even have children come in to our Virginia Beach dental practice at a very young age so they can get used to seeing Dr. Fasano. This way, they will look forward to their appointments in the future and never be afraid of the dentist. Please note, however, our office does not offer orthodontic care. Dr. Fasano is passionate about helping you achieve a healthy lifestyle no matter your age. We look forward to treating everybody in your family and improving your oral health through all stages of life. To set up an appointment for yourself or your children, contact us today or request an appointment online.